Owl News All About Owls Owl Art Owl Photos Owl the News You Need! 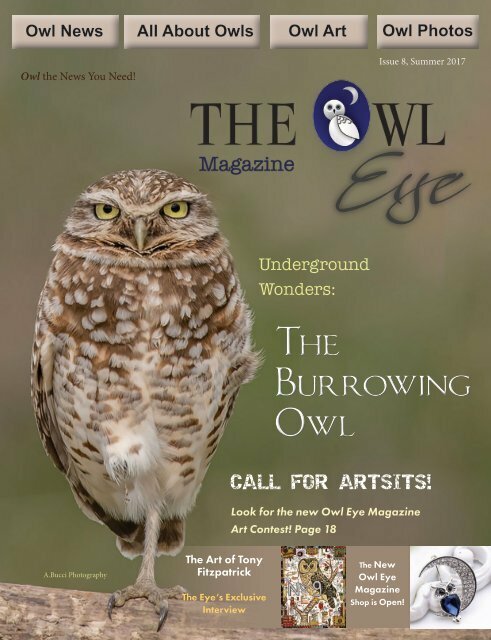 Issue 8, Summer 2017 Underground Wonders: The Burrowing Owl CALL FOR ARTSITS! Look for the new Owl Eye Magazine Art Contest! Page 18 A.Bucci Photography The Art of Tony Fitzpatrick The Eye’s Exclusive Interview The New Owl Eye Magazine Shop is Open!